AXIS C1004-E connects to your existing IP network and it's powered over a single Power over Ethernet cable. AXIS C1004-E can run onboard applications - such as music streaming. You can also create and schedule local playlists that can be stored on an SD card directly on the speaker system. With AXIS C1004-E you can also easily make live voice announcements. 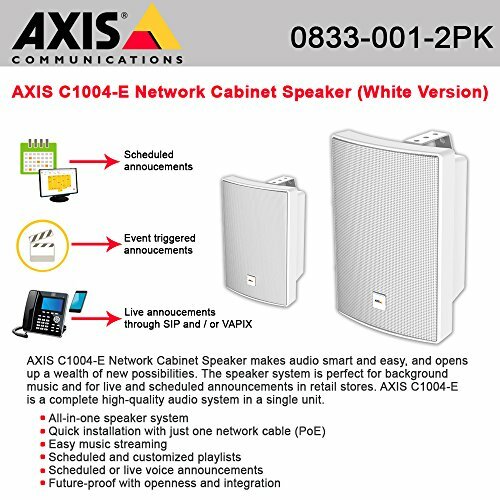 If you have any questions about this product by AXIS COMMUNICATION INC., contact us by completing and submitting the form below. If you are looking for a specif part number, please include it with your message.